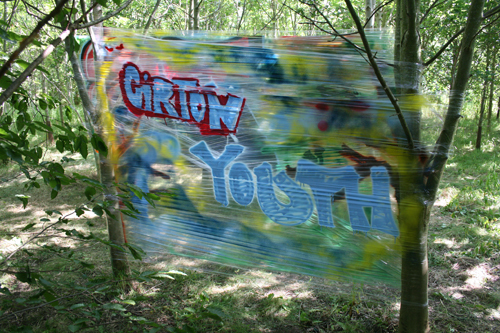 On one of the hottest days of the summer, seven members of Girton Youth Group took to the woods. 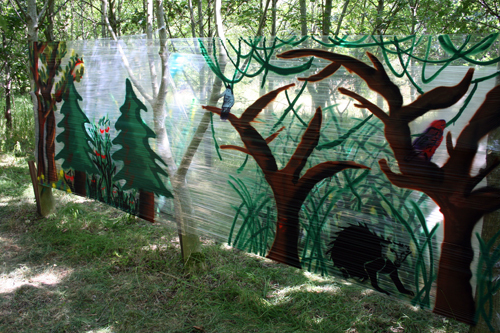 We had spent the morning drawing and cutting stencils in Cotton Hall, on a theme of woodland animals. 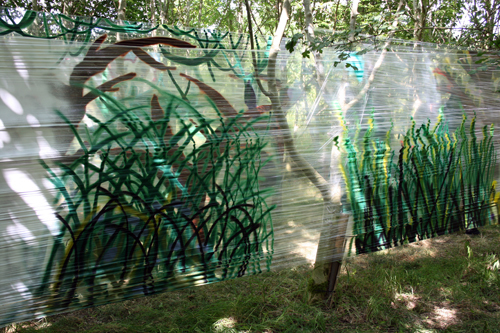 The aim was to construct a new temporary space for painting in the heart of the Girton Wood. 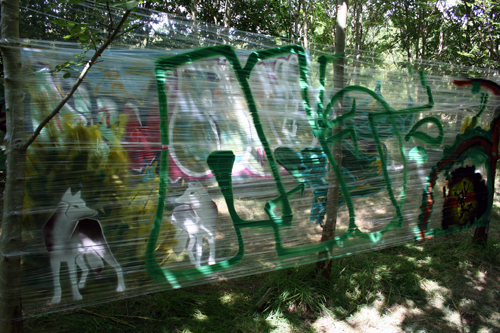 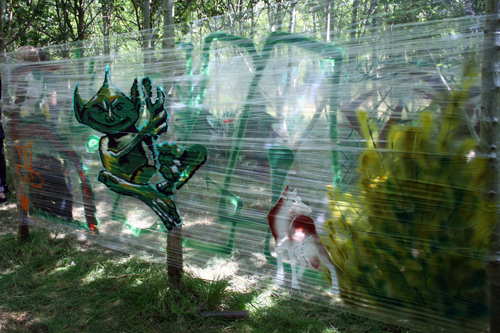 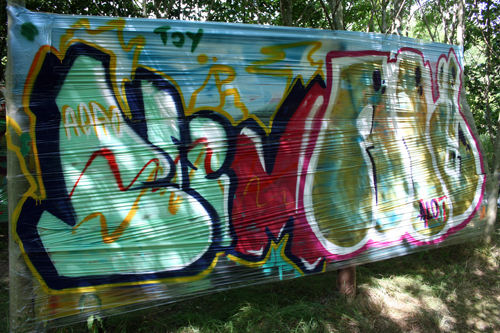 We had previously discussed methods of non-destructive graffiti, and one suggestion stuck: that of painting directly onto clingfilm stretched between trees. 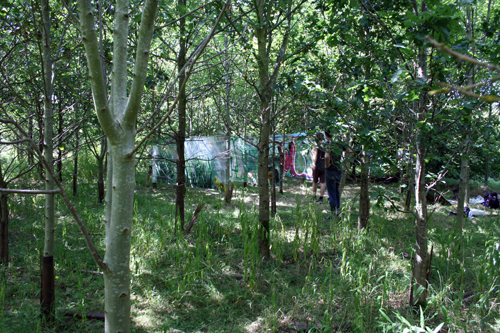 We set out to find a spot where the trees were open enough to give us the space we needed: thankfully, the somewhat regimented planting pattern of the woodland worked to our advantage. 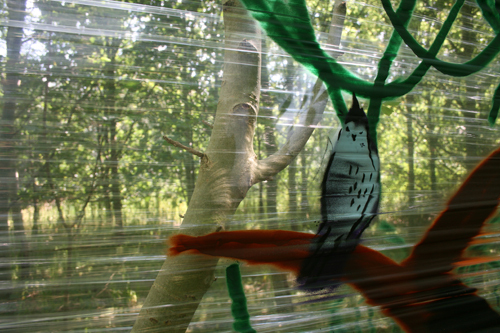 Over the next few hours we painted each side of the clingfilm, where everyone was given space to do their own work in relation to the construction as a whole. 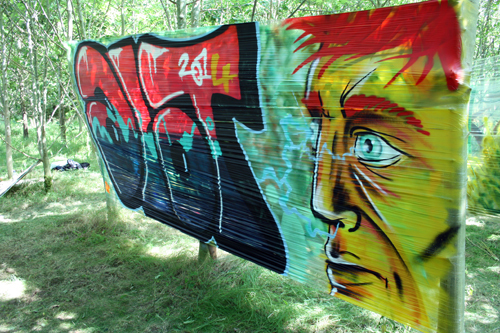 There are some incredible artists in Girton Youth Group. 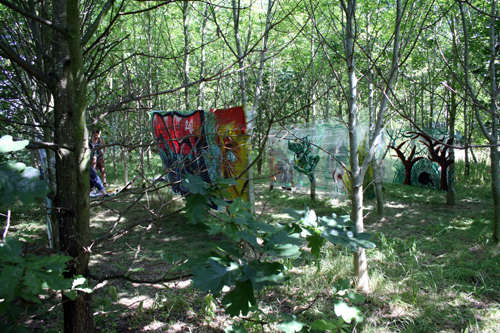 Then, at the end, the entire work was cleared away in a matter of minutes!